As Apothecary Compositions has expanded from a small, cassette-focused club music imprint to a huge online store featuring releases from PAN, Tri Angle, Hyperdub and more. While a discerning onlooker might expect the label side of the operation, headed by Joseph Morris aka Druid Cloak, to look for bigger, more populist artists in tandem with the web store’s expansion, they would be mistaken. Instead, Apothecary is still one of the foremost outlets to find up-and-coming club music flexing their abilities. Portland, Oregon’s own C Plus Plus is the latest to join the roster, bringing the Cearà LP to the Apothecary shelves. Heavily featuring fellow Portland resident Karmelloz, the two have already released a joint 7″ for Hallowed Articles, the four joint tracks show remarkable chemistry, a blend of C Plus Plus’ driving club rhythms and Karmelloz’s elegiac house flow (seen on labels like 1080p and Hoko Sounds). “Gunshot Riddim” is our favorite of the bunch, a riddim flavor packed with ballroom energy and a cyclical vocal sample at once lulling and invigorating the track into the next bar. 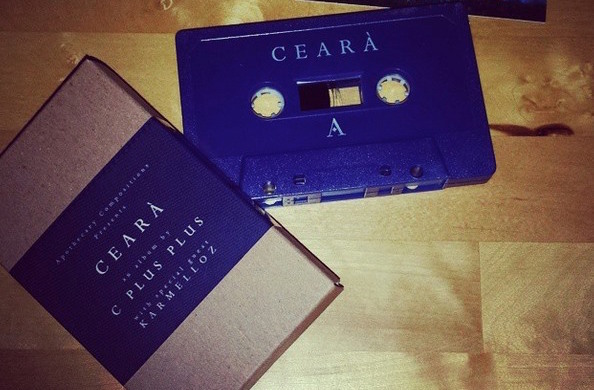 Cearà cassettes are shipping now so get yours before supplies run out.